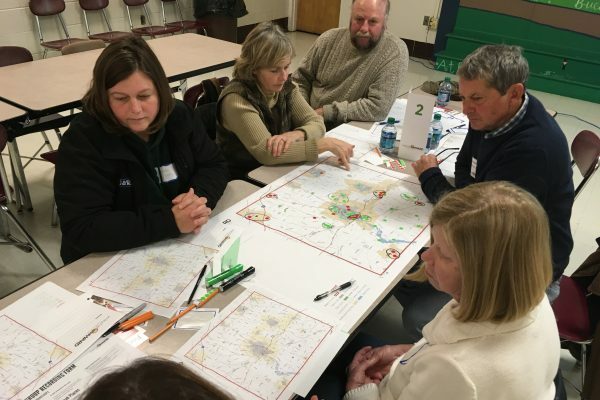 From October through December 2018, community members had the opportunity to participate in workshops and online activities to provide big picture ideas for the future of Wayne County. 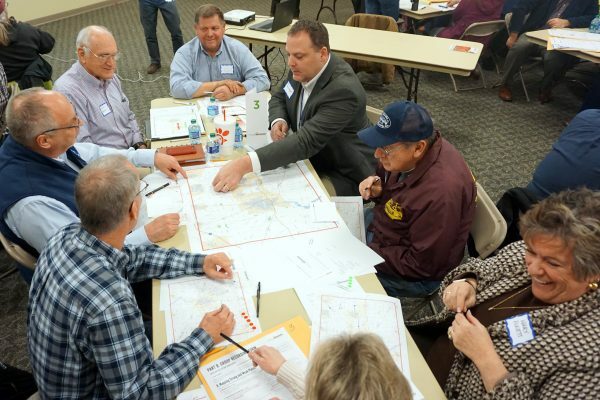 Four Focus on the Future workshops, held in different locations throughout the County, and online opportunities resulted in over 700 unique comments that will help shape the plan. The workshops were highly interactive, and participants were given two main prompts to work on within small groups. 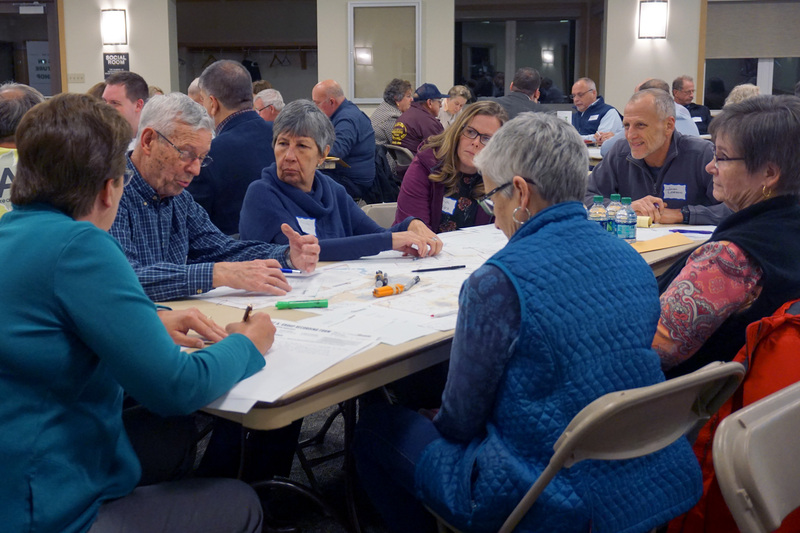 The groups ranged in size from 5-8 people and included a volunteer recorder to collect comments and input. 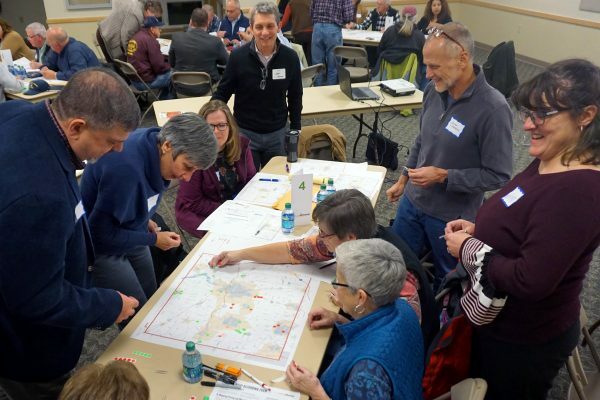 For those unable to attend the Workshops, the website mimicked the workshop activities through a survey that included an interactive mapping tool. Some of the most prevalent topics included economic development (such as supporting existing businesses and attracting new investment), preserving agricultural uses, protecting and enhancing parks and open spaces, and enhancing quality of life by providing a range of amenities and services. 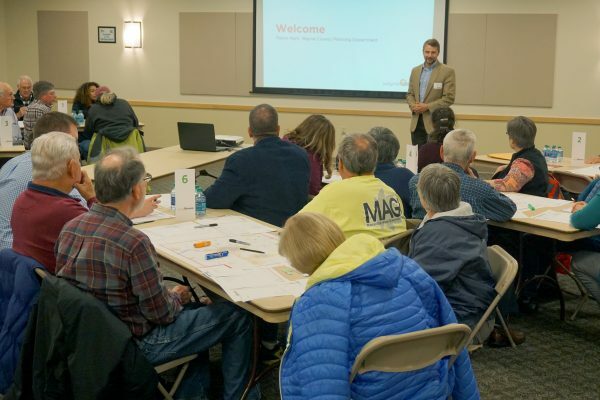 As the Wayne Onward process moves forward, the input will be used to begin shaping the land use plan for the County and to prepare preliminary goals and recommendations. The next opportunity for public input will be in early March, with more information available soon.